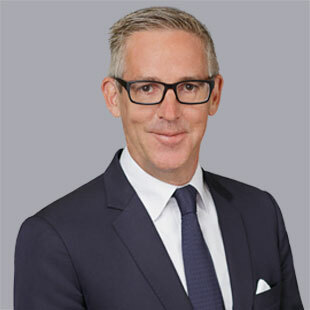 Jonathan Dubois-Phillips joined QuadReal as President of International Real Estate in June 2016. His work with QuadReal focuses on the management and expansion of the company’s international assets. With considerable international real estate investment experience spanning North America, Asia and Europe, Jonathan brings a wealth of knowledge to the QuadReal leadership team. Formerly a Managing Director of Nomura International, one of Asia’s largest Investment Banks, Jonathan also worked in a senior role with Lehman Brothers in the Global Real Estate Group where he invested on behalf of the bank and its private equity funds across Asia, as well as in Europe and North America. Jonathan has an MBA from INSEAD, and a Bachelor of Commerce from the University of British Columbia in Urban Land Economics. Jonathan sees QuadReal as a truly unique opportunity to assemble a global team which will build a diversified, well performing, international portfolio.